I saw a bit of a "blood moon" while on Cape Cod in July. This was the day of the lunar eclipse, which wasn't seen in the U.S., but this moon may be a side-effect. It was redder when closer to the horizon, but some clouds got in the way. 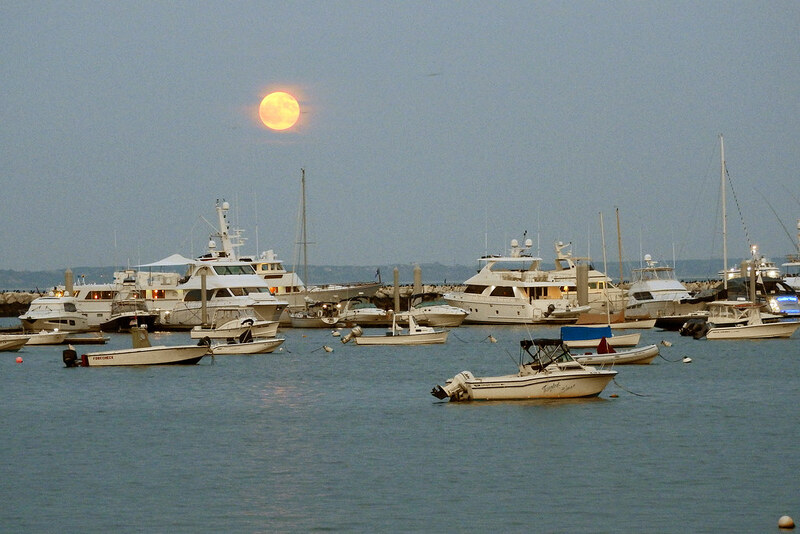 Provincetown Harbor, Cape Cod. MA, July 27, 2018. I've yet to fully capture a colored moon successfully. Had one once that was quite red shining through the mist of some clouds, and when I took the photo, all I got was a blank white disk. I like the combination of lighting here, James. That is a striking moon photo-- both the moon and the setting come through well. Congratulations!